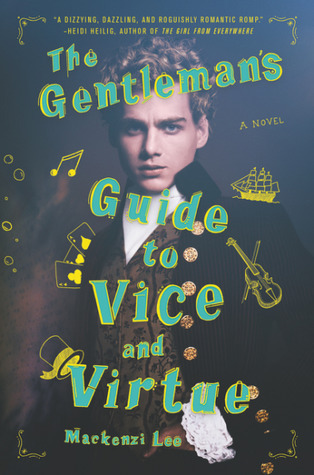 Remarkably witty and wildly adventurous, Mackenzie Lee’s The Gentleman’s Guide to Vice and Virtue is a beautiful edition to the realm of historical fiction and LGBTQ+ romance novels. Henry “Monty” Montague is a gentleman by blood, yet acts completely the opposite; rambunctious and a sweet-talker, Monty finds himself as a constant disapproval from his father. As a last chance to prove himself a gentleman, he is sent on a Grand Tour of Europe with his sister Felicity and long time friend Percy…who just happens to be his crush. But when danger strikes during their travels, the trio find themselves on a dangerous yet thrilling adventure across Europe. Intense and breathtakingly romantic, readers will find themselves unable to put this book down! There was a large part of me that knew I would enjoy this book, but not to this extent. I loved Lee’s novel so much I re-read it right after I finished it! Lee’s writing is truly remarkable; it felt impossible to put this book down. Without going too much into detail, The Gentleman’s Guide to Vice and Virtue follows the point of view of Henry “Monty” Montague, a member of the aristocratic society who doesn’t truly feel he belongs in such a world. While on a Grand Tour of Europe with his sister Felicity and long time friend (and crush) Percy, they come face to face with highwayman after Monty causes some shenanigans. Thus, the trio are sent on a wild adventure across Europe full of mystery and danger around every turn. The story completely captivated me right from the beginning, since it felt like I was reading a story I’ve never read before. Original and unique, Lee’s novel magically transported me into the pages of the novel and refused to let me go until the last page. Lee’s novel also touches upon an incredible number of issues: mental health, abuse, racism, sexism, homophobia, LGBTQ+, and so much more. There’s not many novels in the realm of fantasy and adventure that I find have perfected discussing so many issues in ONE book, hence my complete and utter love for this tale. One argument I’ve heard from others is that Lee didn’t focus enough on all the issues, but I beg to differ. Lee doesn’t overshadow the story with the issues; rather, she slowly crept and knitted them into the story, demonstrating the importance of knowing these issues exist without overpowering the story. There’s also going to be a sequel, which I’m sure will continue to divulge into these topics. Lee balances a number of themes in this novel, making it enjoyable for a wide number of readers. The story begins similar to a coming of age and romance novel, diving into Monty’s hardships at home and his immense love towards his best friend Percy. Then as the story moves along, Lee breaks into the adventure/fantasy genre as the trio are on the run from Highwaymen and other challenges in their path. The best part is Lee’s incredible ability to sense when the story needs to switch topics and themes. The romance, adventure, slower pace sections and so forth never felt overdone, for Lee’s writing flows fantastically well from one part to the next. This section might be a tad large…so I’m sorry in advance! Monty, Percy, and Felicity are the main characters in this story…and I loved them all! Uniquely different from one another, they all present different strengths and weaknesses throughout The Gentleman’s Guide to Vice and Virtue. Lee focuses primarily on Monty’s character growth, our main hero who’s FULL of witty thoughts and endearing traits yet has a lot to learn. Monty’s not a naturally courageous and heroic individual. As a matter of fact, he’s quite terrified when it comes to conflict and danger, which is exhibited hilariously in the dialogue when the others portray heroic moments, making him decide he should attempt bravery as well. I definitely enjoyed this part of his character, since I can totally relate and it’s nice to see a main hero who’s not naturally willing to dive into danger. The first person perspective Lee uses to narrate the story gives us complete and utter access to Monty’s thoughts, showing how naive he can be about the world, such as the sexism and racism throughout this era. Monty’s none of these himself per say, yet a large part of the novel is Monty’s realization of how ignorant he’s been regarding these issues and how they’ve effected those close to him and beyond. Though Lee takes great lengths to focus on Monty’s character development, she does bring to life other fun characters in this enticing novel. Felicity, for instance, is such an amazing strong female lead; her passion for education in medicine and her ability to keep relatively calm in nerve-wrecking situations is splendid. The sequel’s supposed to focus mainly on Felicity’s perspective, so I’m sure we’ll get much more character development in that one. Percy’s another wonderful character in the story, as he’s utterly adorable and caring towards both Monty and Felicity. Percy wears his heart on his sleeve and appears to be less ignorant about the world, especially since the colour of his skin has caused him to face many racist injustices. Though he gets frustrated with Monty, he upholds incredibly patience with him as Monty learns about the world around him and grows less naive. Honestly, it’s not hard to love them all. The language reflects Monty’s personality, making this read tremendously hilarious. When reading The Gentleman’s Guide to Vice and Virtue, Lee’s writing makes you feel as though you’re experiencing the story through Monty’s eyes and not observing as a bystander. Both easy language and wonderfully descriptive, it’s easy to be overtaken by the novel. Though you aren’t necessarily on the adventure, the novel is so convincing and well-written that you forget you aren’t apart of it. The language alone makes me want to read another one of Lee’s works, with the hopes of having the same sensation as this novel. This is my first young adult novel where the main characters identify as LGBTQ+, and I truly wish this was demonstrated more equally in the world of fiction. It felt no different than reading a novel that’s main characters are heterosexual, which I wasn’t surprised since I don’t see the difference when it comes to love. It does frustrate me that books still tend to have heterosexual characters as main characters, but that’s simply because I truly believe there would be more acceptance and understanding if LGBTQ+ was exhibited more in all forms of entertainment. This novel blew me away, completely going above and beyond my expectations. 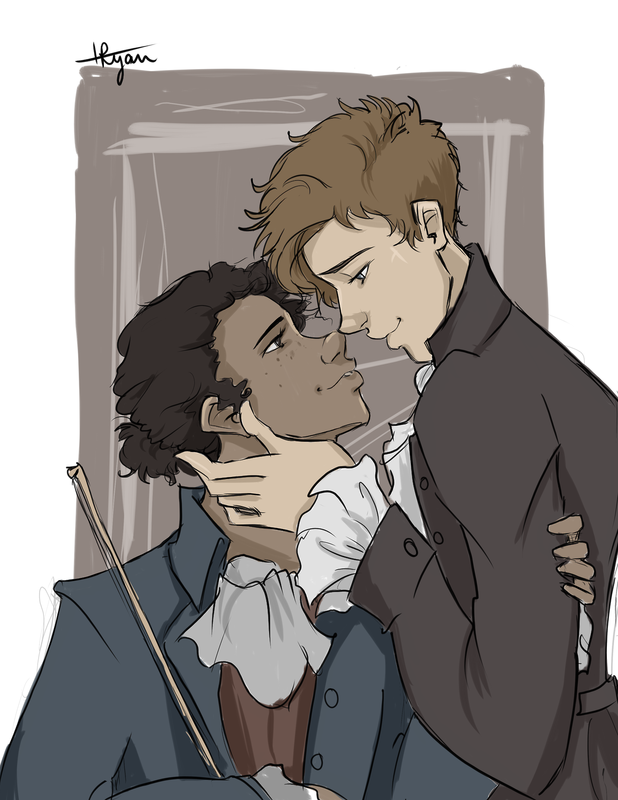 Though I’m not much of a romance lover, Percy and Monty’s connection is beautiful! Their connection is genuine and enticing, making you long for a love such as this one day. The only disappointing factor about this novel is I wanted more; as much as I’m excited for the sequel to focus on Felicity, I truly hope to have another novel focusing on Monty and Percy…with Felicity in it of course. If you love historical adventure novels with romance and dark mysteries, I HIGHLY recommend this book for you! Ugh – I think I’m going to have to read this. Mostly because of your Patrick gif! I feel like that’s me 99% of time I read these romance novels. It’s SO good!! I’m not a romance reader and I freakin loved this! That GIF is great eh? I love GIFs. If you read it please let me know! !